2017 and 2018 have been phenomenal years for the blockchain ecosystem and digital technology industry. Over $12 billion worth of value has been given to support various blockchain and cryptocurrency projects globally through token crowdsales and thousands of new blockchain companies have been created due to the boom in the industry. For a blockchain company that started in 2014, it has been personally exciting to see so many funds, companies and individuals who are also excited about the space. Back when we started in the early days of blockchain, as soon as the word “Bitcoin” was mentioned, people automatically mistakenly-assumed that Storm was involved in money-laundering or drug-smuggling due to the media’s focus on the aftermath of Silk Road and Mt. Gox. We had spent three years building towards our product-market-fit. As a product, it wasn’t until Storm hit over 150,000 monthly active users (MAU) and our revenue was growing 56 percent week-over-week continuously for the first 6 months of 2017, that we were finally formally backed by the pioneer blockchain influencers. The realm of funding has changed recently, with the crowdsales of cryptocurrencies (or tokensales and ”ICOs”). Recently, we have seen that many companies have been able to receive capital purely based on an idea and a white paper, without ever having built a product or made any traction. After running multiple companies over the last decade, I learned firsthand that getting a business to run successfully is hard. Really hard. It’s extremely difficult to make tough decisions and put out fires that could ultimately shut down your business. We have seen thousands of great ideas fail. According to an article in Fast Company and a Harvard Business School study, “Why Most Venture Backed Companies Fail,” 75 percent of venture-backed startups fail. And that statistic is even after becoming venture backed. When the startup road gets tough, you start weighing in the opportunity cost of what you could be doing instead of working endless hours on a project that could or could not succeed. And most likely, will not succeed. You Might Have a Million or More in the Bank – But What’s Next? Anyone who has run a tech company before knows that having millions of dollars in the bank does not mean that the company will never ever have to do a venture-backed fundraise. Uber has received $21.7B from VC’s and Airbnb with $4.4B from VC’s. They will likely continue to need additional capital. Just because a company has over $10M-$50M in the bank, doesn’t mean they will hit mass-adoption. Statistics show, that the cash may likely be gone before that. And what happens then? If the crypto-market support is abysmal, blockchain companies will likely need to pursue those traditional capital channels including equity rounds, acquisitions, and mergers. We have already started witnessing M&A transactions happening in this space using company tokens. 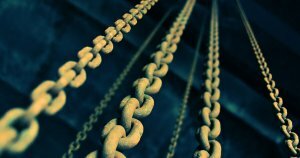 Stellar for example purchased Chain for $500M using Stellar tokens. But instead of token companies buying traditional equities, I imagine the future will be a situation where a company buys another company for their tokens and packages up the equity. I’ll call it Token 2 Token acquisitions or (T2T) acquisitions. Ripple’s circulating token supply is 39 billion XRP. They have over additional 60 billion tokens that are not circulating yet. Let’s say Ripple is looking at Bankcoin for a potential acquisition. Bankcoin has a $1 million market cap with 1 million total supply of tokens and their tokens are currently at $1 USD/Bankcoin. Bankcoin has 10 excellent developers on the team, so Ripple wants to buy them for a potential acquihire. Ripple, then makes an offer to pay $1.50 USD value in Ripple for every one Bankcoin that exists. The founders, token holders, and any stakeholder will receive a 50 percent premium and both parties will benefit from this transaction. The equity will likely be factored into this premium as a result of the acquisition. From a technology perspective, T2T acquisition is already possible. Token swaps have been prevalent especially for blockchain protocol companies launching their own native tokens. We saw this happen several times already with Icon, Wanchain, Tron, and others. To swap out Ripple for Bankcoin is a very easy task technically. The concern of buying a company that could turn out to be a unregulated security is a risk for most companies that are looking to be in the buy position as an Acquirer, even if it was possible from a legal and a financial perspective. This type of behavior will fit more of a security offering. I don’t see this happening in the United States anytime soon due to the high uncertainty of legal decisions. I can see this happening in Asia within the next year. I cannot imagine many companies wanting to launch a second tokensale as the legal challenges will be very difficult. This would mean other than getting acquired, companies would have to find more capital in the future to continue their momentum in building their product. The crowdsale method might have a substitute for the traditional seed round in a traditional startup journey so I imagine most of the blockchain companies that have done a token sale will start to seek after equity rounds from strategic partners. The true test over the next several years will be to see which companies can execute building the product and gaining the traction. Disclaimer: This is a personal editorial piece by me, Simon Yu – and does not represent the views of StormX, Inc. or any of its subsidiaries. These are my own thoughts. The post So You Did a Token Sale – Now What? appeared first on CryptoSlate.